The angry mob tied tyres around Siame with the intention of burning him to death, but police rescued him. However, he had already received a good beating by then, leaving him with a broken jaw. “Police at Simon Mwansa Kampwepwe in Avondale are investigating a matter that occurred onFebruary. 4th, 2019 at around 20:00 hrs in which a mob justice descended on male Witch Doctor and tied some tyres around him so that they can burn him to death. Facts of the matter are that around November 2018, the witch doctor (Peter Siame, 68 years) was approached by the wife to a Mr Chisanga, a local businessman, to kill him, his family and eight others. According to the list that was given to the witch doctor, two members of the same family died within a week and the story came to light which incensed the public who apprehended Mrs Chisanga and they wanted to kill her but was rescued by the Police. At this moment, the Witch Doctor escaped and ran away to Chongwe where he stays. 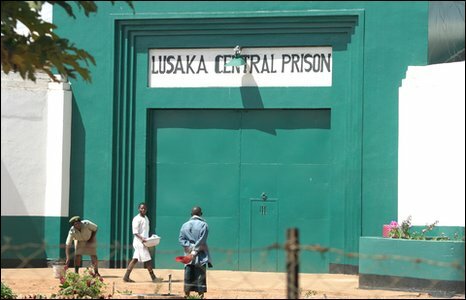 However, Mrs Chisanga was kept in custody for her safety and the family for the deceased persons were advised to take a civil suit,” stated Hamoonga.